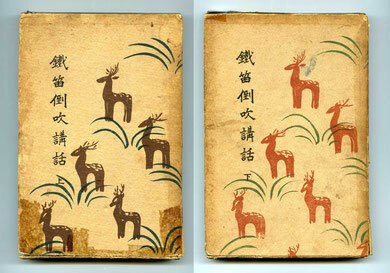 This kōan collection had been first compiled in 1783 by Genrō Ōryū, who added his commentary to each kōan in poetry and prose. 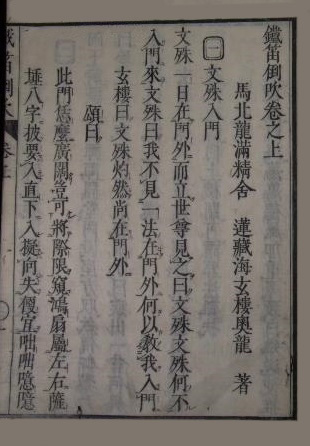 Later (1788), Genrō's chief disciple, Fūgai Honkō added his own “capping phrases” (jakugo 著語）to the text. 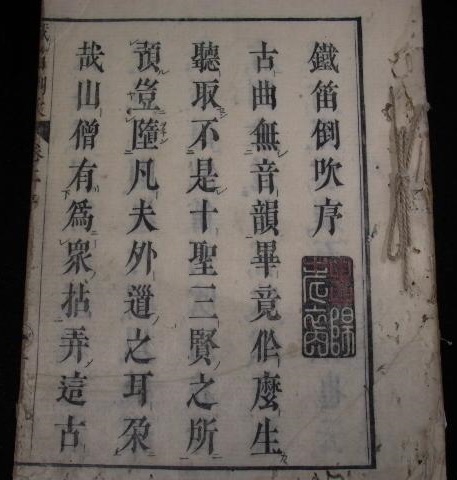 Fūgai's lineage: Tenkei Denson 天柱傳尊 （1648-1736) > Shōzan Monkō 象山問厚 （d. 1776) > Genrō Ōryū (玄楼奥龍 1720-1813) > Fūgai Honkō (風外本高 1779-1847). Genro: Die hundert Zen-Koans der Eisernen Flöte. Hrsg von Nyogen Senzaki und Ruth Strout McCandless; Kommentar von den Zen-Meistern Genro, Fugai und Nyogen Senzaki; [Ubertr. von Ella Erhard]. Origo Verlag, Zürich, 1964, 1973. 174 S.
loan the manuscript to other students to copy for their own use. own group also appears in the later kōan. reader who wishes more background. explain them in my commentary. dynasties, the Golden Age of Zen. this flute with no mouthpiece. As the ancient, clear sound comes from your finger tips. But Zen music is beyond sentiment. Do not play again unless the Great Sound of Lao-tsu accompanies you. “sound of one hand.” It is the daily life of Zen. “I do not see a thing outside the gate. Why should I enter?” Manjushri answered. GENRŌ: I see one stone which the layman carried to the monastery. Then the layman said to the monk, “I wonder if there is anyone who knows what our grandfather in Zen meant.” The monk did not reply, but put on his straw hat and walked away. “Watch your step,” Upasaka P‘ang-yün called to him, but Pai-ling walked on without turning his head. But leaves no trace in the water. A certain Buddhist family in the capital invited T‘ou-tzu to dinner. The head of the family set a tray full of grass in front of the monk. T‘ou-tzu put his fists on his forehead and raised his thumbs like horns. He was then brought the regular dinner. Later a monk asked T‘ou-tzu to explain the reason of his strange action. “Avalokiteshvara Bodhisattva,” answered T‘ou-tzu. old patriarchs? We have only the good earth beneath our feet. It is not difficult to describe the thing. Who had not returned home as yet. Ts‘ui-yen, thinking he had attained something of Zen, left T‘zuming’s monastery when he was still a young monk to travel all over China. Years later, when he returned to visit the monastery, his old teacher asked, “Tell me the summary of Buddhism.” Ts‘ui-yen answered, “If a cloud does not hang over the mountain, the moonlight will penetrate the waves of the lake.” T‘zu-ming looked at his former pupil in anger, “You are getting old. Your hair has turned white, and your teeth are sparse, yet you still have such an idea of Zen. How can you escape birth and death?” Tears washed Ts‘ui-yen’s face as he bent his head. After a few minutes he asked, “Please tell me the summary of Buddhism.” “If a cloud does not hang over the mountain,” the teacher replied, “the moonlight will penetrate the waves of the lake.” Before the teacher had finished speaking, Ts‘ui-yen was enlightened. The sword was hammered on the anvil. But how different was its edge! statement is not expressing the truth. What do you do then? carpet. She will scratch and make the matter worse. Of a green mountain beyond the lake. Need not waste a word. Then turns to the east and flows ceaselessly. Its water comes from the source in Kun-lun Mountain. On the bank of the river late spring breezes play with the weeping willow. The message of eternity comes here and there, nothing more, nothing less. Speaking of seven Buddhas is preparing a rope after the burglar has run away! Kuei-shan said to his monks, “Winter repeats its cold days every year. Last year was as cold as this year, and next year we will have the same cold weather. Tell me, monks, what the days of the year are repeating.” Yang-shan, the senior disciple, walked to the teacher and stood with his right hand covering the fist of his left on his breast. “I knew you could not answer my question,” Kuei-shan commented, then turned to his junior disciple, Hsiang-yen, “What do you say?” “I am sure I can answer your question,” Hsiang-yen replied. He walked to his teacher and stood with his right hand covering his left fist placed against his breast as the senior monk had done, but Kuei-shan ignored him. “I am glad the senior could not answer me,” was the teacher’s remark. A monk saw a turtle walking in the garden of Ta-sui’s monastery and asked the teacher, “All beings cover their bones with flesh and skin. Why does this being cover its flesh and skin with bones?” Ta-sui, the master, took off one of his sandals and covered the turtle with it. Are all well known now. They write essays and criticisms. This evening the rain is my only companion. I hear the wind passing the bamboo screen at my window. One day as Lin-chi was planting a pine tree in the monastery garden, his master, Huang-po, happened along. “We have good shrubbery around the monastery, why do you add this tree?” he asked. “There are two reasons,” Lin-chi answered, “first, to beautify the monastery with this evergreen and, second, to make a shelter for monks of the next generation.” Lin-chi then tamped the ground three times with his hoe to make the tree more secure. “Your self-assertion does not agree with me,” said Huang-po. Lin-chi ignored his teacher, murmuring, “All done,” and tamped the ground three times as before. “You will cause my teaching to remain in the world,” Huang-po said. Chao-chou was planning to visit a mountain temple, when an elder monk wrote a poem and gave it to him. Which blue mountain is not a holy place? Why take cane and visit Ts‘ing-liang? It is not a happy omen at all. After reading the poem, Chao-chou asked, “What is the true eye?” The monk made no answer. K‘uo was attending his master, Tê-shan, one day when he said, “Old masters and sages, I suppose, have gone somewhere. Will you tell me what became of them?” “I do not know where they are,” came the reply. K‘uo was disappointed, “I was expecting an answer like a running horse, but I got one like a crawling turtle.” Tê-shan remained silent, as one defeated in an argument. The next day Tê-shan took a bath and came to the sitting room, where K‘uo served him tea. He patted the monk on the back and asked, “How is the kōan you spoke of yesterday?” “Your Zen is better today,” answered the monk. But Tê-shan said nothing, as a man defeated in an argument. No human sentiments can judge them. Move inwardly and outwardly like magic. The criticisms of mankind cannot affect them. But he cannot search the bottom of the ocean. Even under a true teacher one must strive hard. Tê-shan and the monk could not dine at the same table. A walking stick seven feet high! Whoever understands it can swallow the universe. Both are within my gate. They should end their journey. Kao-t‘ing was enlightened at that moment. Hsüeh-fêng went to the forest to cut trees with his disciple, Chang-shêng. “Do not stop until your ax cuts the very center of the tree,” warned the teacher. “I have cut it,” the disciple replied. “The old masters transmitted the teaching to their disciples from heart to heart,” Hsüeh-fêng continued, “how about your own case?” Chang-shêng threw his ax to the ground, saying, “Transmitted.” The teacher took up his walking stick and struck his beloved disciple. Nan-ch‘üan once delayed taking his seat in the dining room. Huang-po, his disciple and chief monk, took the master’s seat instead of his own. Nan-ch‘üan came in and said, “That seat belongs to the oldest monk in this monastery. How old are you in the Buddhistic way?” “My age goes back to the time of the prehistoric Buddha,” responded Huang-po. “Then,” said Nan-ch‘üan, “you are my grandson. Move down.” Huang-po gave the seat to the master, but took the place next to it for his own. Three monks, Hsüeh-fêng, Ch‘in-shan, and Yen-t‘ou, met in the temple garden. Hsüeh-fêng saw a water pail and pointed to it. Ch‘in-shan said, “The water is clear, and the moon reflects its image.” “No, no,” said Hsüeh-fêng, “it is not water, it is not moon.” Yen-t‘ou turned over the pail. Under the pale light of the moon. Shaking dew from the leaves. FŪGAI: Nightingale? No! It is a phoenix! Hsüeh-fêng, the cook monk in Tung-shan’s monastery, was always punctual in serving the morning meal. One day Tung-shan asked, “What makes you keep the time so accurately?” “I watch the stars and the moon,” Hsüeh-fêng answered. “What if it rains, or is foggy, what do you then?” Tung-shan persisted, but Hsüeh-fêng remained silent. with a pair of scissors. Hsüeh-fêng has already answered. Yang-shan asked Kuei-shan, “If a million objects come to you, what do you do?” Kuei-shan answered, “A green article is not yellow. A long thing is not short. Each object manages its own fate. Why should I interfere with them?” Yang-shan paid homage with a bow. A monk asked Lung-ya, “What did old masters attain when they entered the ultimate stage?” “They were like burglars sneaking into a vacant house,” came the reply. His desire to steal ceased forever. And watched the moon and stars intimately. At last he opened his treasure house. He had owned those treasures from the very beginning. At the end of a seclusion of one hundred days, Yang-shan greeted his teacher, Kuei-shan. “I did not see you around here all summer,” said Kuei-shan, “What were you doing?” “I have been cultivating a piece of land,” replied Yang-shan, “and produced a basketful of millet.” “You did not pass this summer in vain,” Kuei-shan commented. “What were you doing this summer?” inquired Yang-shan. The old monk answered, “I ate once a day at noon and slept a few hours after midnight.” “Then you did not pass this summer in vain,” Yang-shan responded and with these words stuck out his tongue. “You should have some self-respect,” Kuei-shan observed. In the old monastery of Kuei-shan. Working in silence, ignoring loss and gain. They are still strings, no matter how attractive. Monks must not be attached to their freedom. To sever all strings of mind and body. Emperor T‘ai-tsung of the Sung dynasty one night dreamed of a god who appeared and advised him to arouse his yearning for supreme enlightenment. In the morning His Majesty asked the official priest, “How can I arouse yearning for supreme enlightenment?” The priest said no word. neglected his duty, and was good for nothing. Master Kuei-shan sent for the treasurer, but when the treasurer monk appeared, Kuei-shan said, “I called the treasurer, not you.” The treasurer could not say a word. The master next sent for the chief monk, but when he arrived, Kuei-shan said, “I sent for the chief monk, not you.” The chief monk could not say a word. After a lecture to the monks one morning, Yüeh-shan was approached by a monk, who said, “I have a problem. Will you solve it for me?” “I will solve it at the next lecture,” Yüeh-shan answered. That evening, when all the monks had gathered in the hall, Yüeh-shan called out loudly, “The monk who told me this morning he had a problem, come up here immediately.” As soon as the monk stepped forward to stand in front of the audience, the master left his seat and took hold of the monk roughly. “Look here, monks,” he said, “this fellow has a problem.” He then pushed the monk aside and returned to his room without giving his evening lecture. out all he has in his heart. A monk said to Hsüeh-fêng, “I understand that a person in the stage of Shravaka sees his Buddha-nature as he sees the moon at night, and a person in the stage of Bodhisattva sees his Buddha-nature as he sees the sun at day. Tell me how you see your own Buddha-nature.” For answer Hsüeh-fêng gave the monk three blows with his stick. The monk went to another teacher, Yen-t‘ou, and asked the same thing. Yen-t‘ou slapped the monk three times. For thirty years I have lived on Tzu-hu Mountain. I have climbed the hills and returned to my hut to exercise my body. None of my contemporaries would recognize me. In quietude, he has everlasting gladness. None but Zen students can partake of such pleasure. Between meeting and not meeting, there is no difference. As also does the northern branch. A monk asked Hsüeh-fêng, “How can one touch sanctity?” Hsüeh-fêng answered, “A mere innocent cannot do it.” “If he forgets himself,” the monk asked again, “can he touch sanctity?” “He may do so in so far as he is concerned,” Hsüeh-fêng replied. “Then,” continued the monk, “what happens to him?” “A bee never returns to his abandoned hive,” came the answer. in any mold of life if he wishes to live freely. This monk later went to Chao-chou and related the dialogue. Chao-chou said, “If one cannot drink the water with his mouth, he also cannot take it through his nostrils.” The monk then repeated the first question, “When the old creek of Zen dries out and there is not a drop of water, what can I see there?” Chao-chou answered, “The water will taste as bitter as quinine.” “What happens to one who drinks that water?” asked the monk. “He will lose his life,” came the reply. When Hsüeh-fêng heard of the dialogue, he paid homage to Chao-chou saying, “Chao-chou is a living Buddha. I should not answer any questions hereafter.” From that time on he sent all newcomers to Chao-chou. Each stroke of this letter is clear, but no reason accompanies it. Buddha tried to write it, failing many a time. Why not give the job to Mr. Wang, master of calligraphy? His skillful hand may accomplish the requirement beautifully. A monk asked Hsüan-sha, “When the old masters preached Dharma wordlessly with a gavel or mosquito brush, were they expressing the ultimate truth of Zen?” Hsüan-sha answered, “No.” “Then,” continued the monk, “what were they showing?” Hsüan-sha raised his mosquito brush. The monk asked, “What is the ultimate truth of Zen?” “Wait until you attain realization,” Hsüan-sha replied. of making such a lukewarm speech. is a pity he had to use a butcher’s knife to carve a chicken. hold to, no color to be seen, no sounds to be heard. A free man has nothing in his hands. He never plans anything, but reacts according to others’ actions. He loosed the noose of the monk’s own rope. but I am not sure whether it was a real Buddha or not. Do not boil bamboo when you return home. Buddha, Buddha, and Buddha. . . .
A fool holds but a string for coins. “wall” on the window, and the letter “gate” on the wall. One day Chao-chou visited his brother monk’s lecture hall. He stepped up to the platform, still carrying his walking stick, and looked from east to west and from west to east. “What are you doing there?” asked the brother monk. “I am measuring the water,” answered Chao-chou. “There is no water. Not even a drop of it. How can you measure it?” questioned the monk. Chao-chou leaned his stick against the wall and went away. activities of mind. Just tell me what the mind is. Hsüan-sha sent a monk to his old teacher, Hsüeh-fêng, with a letter of greeting. Hsüeh-fêng gathered his monks and opened the letter in their presence. The envelope contained nothing but three sheets of blank paper. Hsüeh-fêng showed the paper to the monks, saying, “Do you understand?” There was no answer, and Hsüeh-fêng coninued, “My prodigal son writes just what I think.” When the messenger monk returned to Hsüan-sha, he told him what had happened at Hsüeh-fêng’s monastery. “My old man is in his dotage,” said Hsüan-sha. When master I-chung had taken his seat to preach Dharma, a layman stepped from the audience and walked from east to west in front of the rostrum. A monk then demonstrated his Zen by walking from west to east. “The layman understands Zen,” said I-chung, “but the monk does not.” The layman approached I-chung saying, “I thank you for your approval,” but before the words were ended, he was struck with the master’s stick. The monk approached and said, “I implore your instruction,” and was also struck with the stick. I-chung then said, “Who is going to conclude this kōan?” No one answered. The question was repeated twice, but there was still no answer from the audience. “Then,” said the master, “I will conclude it.” He threw his stick to the floor and returned to his room. The stone wall on the lake. And swallows the whole village. Tan-hsia paid a visit to Hui-chung, who was taking a nap at the time. “Is your teacher in?” asked Tan-hsia of an attending disciple. “Yes, he is, but he does not want to see anyone,” said the monk. “You are expressing the situation profoundly,” Tan-hsia said. “Don’t mention it. Even if Buddha comes, my teacher does not want to see him.” “You are certainly a good disciple. Your teacher ought to be proud of you,” and with these words of praise, Tan-hsia left the temple. When Hui-chung awoke, Tan-yüan, the attending monk, repeated the dialogue. The teacher beat the monk with a stick and drove him from the temple. When Ch‘in-shan paid a visit to Yen-t‘ou, who was living in quiet seclusion, he asked, “Brother, are you getting two meals reguarly?” “The fourth son of the Chang family supports me, and I am very much obliged to him,” said Yen-t‘ou. “If you do not do your part well, you will be born as an ox in the next life and will have to repay him what you owed him in this life,” Ch‘in-shan cautioned. Yen-t‘ou put his two fists on his forehead, but said nothing. “If you mean horns,” said Ch‘in-shan, “you must stick out your fingers and put them on top of your head.” Before Ch‘in-shan finished speaking, Yen-t‘ou shouted, “Hey!” Ch‘in-shan did not understand what this meant. “If you know something deeper, who don’t you explain it to me?” he asked. Yen-t‘ou hissed, then said, “You have been studying Buddhism thirty years as I have and you are still wandering around. I have nothing to do with you. Just get out,” and with these words he shut the door in Ch‘in-shan's face. The fourth son of the Chang family happened to be passing and, out of pity, took Ch‘in-shan to his home nearby. “Thirty years ago we were close friends,” Ch‘in-shan remarked sorrowfully, “but now he has attained something higher than I have, he will not impart it to me.” That night Ch‘in-shan was unable to sleep and at last got up and went to Yen-t‘ou's house. “Brother, please be kind and preach the Dharma for me.” Yen-t‘ou opened the door and disclosed the teaching. The next morning the visitor returned to his home with happy attainment. When Mu-chou and a strange monk passed each other on the road, Mu-chou called, “Venerable Sir!” The monk turned. “A blockhead,” Mu-chou remarked, then each walked on again. No special road leads to it. He will find only a slippery, moss-covered bridge. should he go particularly to Korea? To carve a wooden statue? But the man who opens his eyes . . .
Is he not a true Avalokiteshvara? FŪGAI: Why do you refuse the idea of sages and mediocrities? always complains of his part. enemies if you want to conquer them. Sages and mediocrities . . .
Donkeys and horses . . . Even to the shadow of a single hair. And shed tears for you. In Nan-ch‘üan’s monastery the cook monk was entertaining the gardener monk one day. While they were eating, they heard a bird sing. The gardener monk tapped his wooden armrest with his finger, then the bird sang again. The gardener monk repeated this action, but the bird sang no more. “Do you understand?” asked the gardener monk. “No,” answered the cook monk, “I do not understand.” The other monk struck the pillow for the third time. understand? Because he has something in his mind. Yün-mên once lived in a temple called the “Chapel of Holy Trees.” One morning a government official called on him and asked, “Are your holy fruits well ripened now?” “None of them was ever called green by anyone,” answered Yün-mên. GENRŌ: His Zen is not ripened. His words are lukewarm. FŪGAI: I love that green fruit. They are hard as iron balls. He lost his teeth in them. And contain all sentient beings. Overlooking the truth of Zen. The old teacher retires to his room. What a beautiful picture of Zen! What a profound lecture on Zen! A monk came to Pai-chang and asked, “What is the most wonderful thing in the world?” “I sit on top of this mountain,” answered Pai-chang. The monk paid homage to the teacher folding his hands palm to palm. At that moment Pai-chang hit the monk with his stick. The great and deep sea! No boundry in four directions! There is no depth . . . It is above shallow and deep. And loves all sentient beings. FŪGAI: What kind of eyes do those have who do not transmigrate? The whole world is my garden. With no shadow remaining on the water. And each colorful leaf of autumn. days; every inhalation and exhalation may change a person. most of them came to gather attractive family traditions. Chao-chou visited Pao-shou, who happened to see him coming and turned his back. Chao-chou spread the mat he carried to make a bow to Pao-shou, but Pao-shou immediately stood up and returned to his room. Chao-chou picked up his mat and left. A monk came to Hsüeh-fêng and made a formal bow. FŪGAI: He is using the first lesson for children. Hsüeh-fêng hit the monk five blows with the stick. FŪGAI: Here the kōan flares up. FŪGAI: You do not know your own benefactor. With another five blows the master shouted at the monk to get out. FŪGAI: Too much kindness spoils a child. GENRŌ: Hsüeh-fêng’s last shout had no value at all. FŪGAI: Hsüeh-fêng tried to fit a square stick to a round hole. Hsüeh-fêng’s Zen was like a grandmother’s kindness. He marked the ship’s side for a lost sword. Who poked Ta-yü’s ribs three times. While Kuei-shan was studying Zen under Pai-chang, he worked as a cook for the monastery. FŪGAI: A peaceful Zen family! Ssu-ma T‘ou-t‘o came to the monastery to tell Pai-chang he had found a good site for a monastery on the mountain of Ta-kueishan, and wished to select a new master before the monastery was established. FŪGAI: Who could not be the dweller? FŪGAI: How do you know? FŪGAI: Where is your eye to select a monk? Pai-chang then called Kuei-shan to tell him he must go to establish the new monastery. FŪGAI: You do not know yourself. Pai-chang then called the monks together, told them the situation, and said that anyone who gave a correct answer to his question would be a candidate. FŪGAI: I can see the teacher’s glaring eyes. When no one else answered, Pai-chang turned to Kuei-shan. Kuei-shan stepped forward, tipped over the pitcher with his foot, then left the room. Kuei-shan was made head of the new monastery, where he lived many years teaching more than one thousand monks in Zen. cannot tip it over as Kuei-shan did. Now, what do you do? FŪGAI: I will kick the teacher. Thus, transcending measurement, expose the entire contents. See what one foot can do! One kick and the monastery is established on Kuei-shan. The librarian saw a monk sitting in meditation in his library a long time. FŪGAI: Is he not a monk? kind of sutra he means. “Why do you not ask someone who knows?” suggested the librarian. FŪGAI: Here you have slipped. No special light is needed to read this sutra. Each character is clearly illumined. Five thousand sutras are read in a flash. Ti-ts‘ang took a trip with his two elder monks, Chang-ch‘ing and Pao-fu, to see the famous painting of a peony on a screen. FŪGAI: Monks, you should wipe the film from your eyes. FŪGAI: Do not allow your eyes to cheat you. FŪGAI: The mouth is the cause of all trouble. Chao-ch‘ang skillfully painted the king of flowers. Colorful brocade opens to reveal perfume within. Bees and butterflies encircle the bloom with pleasure. Do the three monks discuss the real or the painted flower? FŪGAI: When one tries to know the higher, he falls lower. FŪGAI: That monk was cheated by Buddha and the patriarchs. FŪGAI: Selling horsemeat labeled prime beef! remember this and repay his kindness with gratitude. FŪGAI: When one tries to repay, he himself makes heavy debts. Poisons the one who drinks the wine. Yün-chü, the master of a big monastery, sent underclothing to a monk living alone in a hut near the temple. He had heard that this monk sat long hours in meditation with no covering for his legs. have been inherited from Bodhidharma. not have it, I will take it away from you. FŪGAI: Yün-chü is sending new clothes. FŪGAI: Where are your two legs? FŪGAI: Good words, but not likely to be the monk’s idea. Cannot surpass one word that covers the universe. The mother’s clothing—what a pity! It cannot cover the present unsightliness. FŪGAI: He still has a tendency of kleptomania. FŪGAI: He is a kind old grandmother! Hsüeh-fêng did not realize Tê-shan’s meaning, so the next day he repeated his question. FŪGAI: Is not one head enough? FŪGAI: One plays the flute and the other dances. father! Such a son! A good combination. Dragon head and snake tail! A toy stops a child’s crying. All for the allegiance to Dharma. FŪGAI: What are you talking about? FŪGAI: A good teacher does not waste words. “This old monk knows good and bad,” Pa-chiao replied. FŪGAI: The old fellow lost his tongue. FŪGAI: The pot calls the kettle black. GENRŌ: Pa-chiao still uses the gradual method, whereas T‘ien-t‘ung employs the lightning flash. T‘ien-t‘ung’s method can be easily understood, but few will see Pa-chiao’s work clearly. FŪGAI: What shall I say about your work? There are many different drugs to cure an illness. Arrest a person without using handcuffs. Warcraft and medicine must be studied thoroughly. Orchid in spring, chrysanthemum in autumn. A monk came from Chia-shan and bowed to Kao-t‘ing. FŪGAI: What are you doing! Kao-t‘ing immediately struck the monk. FŪGAI: The kōan is vivid here. FŪGAI: What are you saying? Why do you not bow again? Kao-t‘ing struck the monk again and drove him from the monastery. FŪGAI: Pure gold has a golden sheen. The monk returned to Chia-shan, his teacher, and related the incident. FŪGAI: It is a good thing you have someone to talk with. “Do you understand or not?” asked Chia-shan. 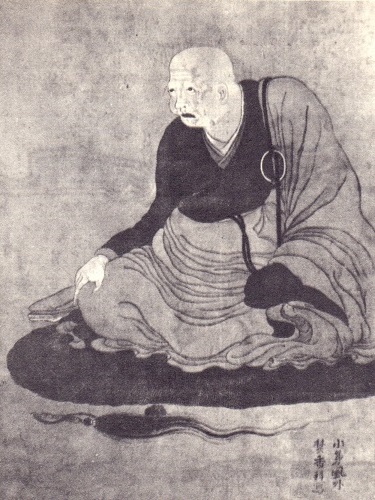 FŪGAI: What can you do with a dead snake? “No, I do not understand it,” answered the monk. FŪGAI: Good words, but not from you. FŪGAI: Good contrast to Kao-t‘ing’s action. New etiquette for the monastery. The wheel of Dharma is smashed. FŪGAI: Why do you not go yourself? Yen-t‘ou carried an ax to the little hut where the two monks were meditating. FŪGAI: Have you wiped your eyes well? The two monks continued their meditation, completely ignoring Yen-t‘ou. FŪGAI: He is buying and selling himself. He then returned to Tê-shan and related the incident. FŪGAI: A defeated general had better not discuss warfare. FŪGAI: Who are the others? FŪGAI: Should one go to the country of mosquitoes because he dislikes the country of fleas? readers of the Tetteki Tōsui should meditate on this answer. One arrow passes between them. Kuei-shan said to his disciple, Yang-shan, “All day you and I were talking Zen . . .
FŪGAI: Both of you have tongues? Yang-shan drew a line in the air with his finger. FŪGAI: Why do you take such trouble? FŪGAI: The teacher lost the game. principles, look here at what I am doing. The miracles of these two monks surpass Moggallana’s. All day long the sham battle rages. What do they accomplish after all? One finger pokes the hole in emptiness. FŪGAI: A white cloud obscures the road. This monk later asked Yün-mên the same question. FŪGAI: Are you lost again? FŪGAI: A chatterbox makes a storm in the blue sky. They will festoon each field and garden. Each branch has the perfect color of spring. FŪGAI: Are you trying to sink the boat? FŪGAI: The boat floats all right. An iron boat froze on the sea. The kōan from the past is fulfilled. Uncle Hsüan-sha, have you attained? When Yang-shan was sitting in meditation, a monk came quietly and stood by him. FŪGAI: Such a trick won’t work. Yang-shan recognized the monk, so he drew a circle in the dust with the ideograph for “water” beneath it, then looked at the monk. FŪGAI: What kind of charm is it? FŪGAI: A sprinter falls down. light the candle. Alas! The opportunity is gone. Nor pictured rice-cakes feed hunger. Yang-shan’s action brought no merit. Why does he not give the monk the big stick? When Zen students meet, they may snap their fingers at each other. FŪGAI: Do not overlook it. But how few know what it means. FŪGAI: Do you know, it is the sword that cuts the tongue. FŪGAI: When the rabbit appears the hawk is off after him. FŪGAI: Did I not say before, he does not know! GENRŌ: If I were Ch‘an-yüeh, I would snap my fingers at Ta-sui. FŪGAI: So far it is good, but instead, no one can understand it. But he must not snap them until he has passed 110 castles. Yüeh-shan asked a newly-arrived monk, “Where have you come from? FŪGAI: Are you enjoying the atmosphere? FŪGAI: You give a glimpse of the lake view. “Is the lake full or not?” inquired Yüeh-shan. FŪGAI: Are you still interested in the lake? “Not yet,” the monk replied. FŪGAI: He glanced at the lake. “There has been so much rain, why isn’t the lake filled?” Yüehshan asked. FŪGAI: Yüeh-shan invited the monk to see the lake, actually. FŪGAI: He must have drowned. FŪGAI: It was fortunate the monk remained silent. Recognition makes it a barricade. Made an imaginary road to heaven. One day Hsüeh-fêng began a lecture to the monks gathered around the little platform by rolling down a wooden ball. Hsüan-sha went after the ball, picked it up and replaced it on the stand. Hold it or let it go. Teacher and disciple contradict each other. Do not make this kōan a model. There was once a little hut called, Fei-t‘ien, meaning “rich field,” where a monk lived for thirty years. FŪGAI: Maybe he did not know how to move. He had only one tray made of clay. FŪGAI: Expensive things are not always precious. One day a monk, who studied under him, broke that tray accidentally. FŪGAI: The real treasure appears from the breaking. Each day the teacher asked the student to replace it. FŪGAI: Why do you want another? FŪGAI: I would open my hands and laugh. FŪGAI: I will search for it before I am born. The disciple cannot understand it. Call an iron kettle a bell. FŪGAI: Squirt ink from your mouth into someone’s face. FŪGAI: He uses poison as an antidote. GENRŌ: Fa-yen never discounts from the fixed price. FŪGAI: here is no fixed price. There is no worse poison . . .
Do not say you know warm or cold. How many can drink it? FŪGAI: Do you prefer nomads? FŪGAI: Does nakedness bring happiness? FŪGAI: Just show your face. FŪGAI: Men should read without letters. The purpose is to kill the people. Each cut makes the sword sharper. As Tê-shan was working in the garden one day, he saw a monk approaching up the road. Tê-shan closed the gate. The monk knocked on the gate. FŪGAI: The lion cub enters the fox’s lair. FŪGAI: He puts his head in the lion’s mouth. The monk made a bow to the teacher. FŪGAI: His fur does not look like a lion’s. FŪGAI: That is the way to raise a cub. the moment the gate was opened, holding him helpless. He calls himself a lion, and visits a lion tamer. That voice shatters the monastery. Defeated before he could kick. FŪGAI: You are lost in a cloud. FŪGAI: This is not the way to handle ghosts. FŪGAI: Destroy that Zen-dō and that mountain! Where he will remain for all eternity. His method is superior to other teachers’. FŪGAI: Which is not the real eye? FŪGAI: The enemy is defeated with its own weapons. Ma-ku pulled Lin-chi from his seat then sat in his place. FŪGAI: A comet comes close to another constellation. FŪGAI: The whole army retreats by command. KANGETSU: Ma-ku did not keep his aim steady. Lin-chi shouted, “Katsu!” and pulled Ma-ku from his seat in turn. FŪGAI: Two generals understand each other. GENRŌ: Lin-chi’s question, “Why?” would make anyone hesitate. FŪGAI: Don’t shout it from the housetops! I thought T‘ien-tan was a good fighter. His changeable strategy scared even demons. He regained seventy castles at a time. FŪGAI: Carry them on your shoulder. FŪGAI: You have given him another burden. “I do not understand,” replied the monk. FŪGAI: You do not even know you have slipped. would have been questioned by others. The Zen monk sits on one cushion. FŪGAI: Incomplete. Where were you before that? Have you not always been in the same place? FŪGAI: Shh! You fox, you have cheated many people and now you try to eliminate your mistake. FŪGAI: I will say loudly, “ Buddha does not enter Parinirvana! say he is not here, you are admitting he has entered Nirvana. your own room and take a good rest. FŪGAI: My teacher, you go to your room first. Old teacher was too busy before he traveled. He sealed his disciples’ mouths. Family scandal should be kept quiet. Hsiu-ching was the managing monk of Lê-p‘u’s monastery. FŪGAI: A very responsible position. FŪGAI: A general orders his soldiers. “What is Manjushri to do?” asked the chief monk. FŪGAI: He is really the chief monk. FŪGAI: He knows his position very well. FŪGAI: Nothing excellent to me. would hit him before he finished his question. Why? ordered, and those gathering wood also do as ordered. hit the gavel and discharge the chief monk for that day. The wheel of Dharma turns itself independently. Confucius is wise, but he cannot defeat the woman. The old pine tree grows on a snow-covered rock. FŪGAI: He is a different age from you. FŪGAI: What trinkets are you using? FŪGAI: Don’t you know what this rosary is? FŪGAI: Don’t you know a better way to handle this student? Han-t‘ui-chih was very much displeased because he could not understand this old monk and returned home. FŪGAI: You are trying to hammer a nail in the sky. FŪGAI: This is not a woman’s problem. The scholar then told his wife all that had happened. FŪGAI: What is the good of it? Why do you argue your case as though you protested to the emperor? “Why not go back to the monastery and ask the old monk what he meant?” his wife suggested. FŪGAI: Fortunately, he has a better half. Next day, early in the morning, the Confucian scholar went to the monastery, where he met the chief monk at the gate. FŪGAI: Misfortune dogs his steps. “Why are you here so early?” the chief monk asked. “I wish to see your master and question him,” Han-t‘ui-chih answered. FŪGAI: Do you know where he is? “What is your business with him?” the chief monk asked, so the Confucian repeated his story. FŪGAI: The master never said these words. You are slandering him. The chief monk clicked his teeth three times. FŪGAI: You are inviting trouble. At last Han-t‘ui-chih met Ta-tien and once more asked his question, whereupon the master clicked his teeth three times. FŪGAI: Do not think you are seeing Zen. FŪGAI: The moon is only one, but it illuminates the mountain and the valley differently. “You do not say so,” Ta-tien answered. FŪGAI: Are you prepared to spill blood? FŪGAI: What are you saying? This same thing never happened before. FŪGAI: The battle lines are moving. “Yes,” answered the chief monk. FŪGAI: This foolish one does not know how to turn himself out. Ta-tien struck the chief monk and immediately expelled him from the monastery. FŪGAI: When Wong commits murder, Wang will be hung. you will see countless stars in the sky later. FŪGAI: After all, Ta-tien had a friend. Day and night, one hundred eight . . .
Clicking the teeth brings explusion. Northern trees bear differently in the south. He will become a great general. The monk paid homage and stood up. FŪGAI: What did he have to say? FŪGAI: There is barbed wire all around. FŪGAI: I told you he could not enter. Yün-fêng hit the monk’s mouth with a mosquito brush. FŪGAI: There! The door is open. That emptiness has neither in nor out. How can you enter then? FŪGAI: I would not enter that room. Flat ground hides a tiger trap. Golden deeds gleam even now. [Generation after generation carries troubles endlessly. – Mandzsusrí, Mandzsusrí, miért nem jössz be? – Idekint se látok semmit – felelt Mandzsusrí –, miért mennék be? Egy kő lakik a házamban, és mást se tesz, csak ül vagy fekszik. Lehet Buddhát faragni belőle? – Most már az – mondta a mester. – Lehetetlen. – Lehet-e olyat mondani, ami nem is helyes, nem is helytelen? – Egy fehér felhőn semmi se rút – válaszolt Sao-san. – Meg akarjátok ismerni az ősatyákat? – kérdezte a szerzeteseit. – Ott ugrálnak az ősatyák a fejetek tetején! És tudjátok – tette hozzá –, hol van a szemük? – Lakomát adtam a templomcsarnokban, de az éhszomjas szellemek telhetetlenek. – Minden teremtés a csontját fedi bőrrel, ez miért fedi a bőrét csonttal? – kérdezte egy szerzetes. – Abba ne hagyd, amíg fejszéd át nem vágja a fatörzs kellős közepét – intette tanítványát a mester. – Keresztülvágtam! – jelentette ki a tanítvány. – Régi mestereink szívtől szívig adták tovább a tant – folytatta Hszüe-feng –, veled hogy állunk? – Már át lett adva! Hszüe-feng fogta a botját és agyba-főbe verte szeretett tanítványát. Három szerzetes, Hszüe-feng,** Csin-san*** és Jen-tou összefutott a kolostorkertben. Hszüe-feng meglátott egy vizesvödröt és rámutatott. – Tiszta a víz, tükrözi a holdat – szólalt meg Csin-san. – Nem és nem – mondott ellent Hszüe-feng –, ez nem víz és nem hold. Hszüe-feng, mikor szakácsként szolgált Tung-san** kolostorában, mindig időben adta föl a reggelit. – Hogy tudod ilyen pontosan betartani az időt? – faggatta őt Tung-san egy nap. – Csak figyelem a csillagokat és a holdat – felelte Hszüe-feng. – És mitévő vagy, ha elered az eső vagy leszáll a köd? – erősködött Tung-san. – Mire jutottak a régi mesterek, ha elérték a végső állapotot? – Mint a tolvajok – felelt a mester –, akik elhagyott, üres házba surrannak be. – Nem láttalak itt egész nyáron – mondta Kuj-san. – Mit műveltél? – Műveltem egy darab földet, és betakarítottam egy kosár kölest. – Akkor nem telt hiába a nyarad. – És te, mester, mit műveltél? – kérdezte Jang-san. – Ettem mindennap és aludtam minden éjjel. – Akkor a te nyarad se telt hiába – válaszolt Jang-san és kiöltötte rá a nyelvét. – Tisztelettudóbb is lehetnél – jegyezte meg Kuj-san. – A tárnokot hívattam, nem téged! A tárnok nem tudta, mit mondjon. – A felvigyázót kérettem, nem téged! A felvigyázó nem tudta, mit mondjon. – Ha ezer mérföldön belül egy fia felhő se lenne, mit tennél? – kérdezte egy szerzetes. – Megbotoznám az eget – mondta Fen-jang. – Miért épp az eget kárhoztatnád? – Mert sose akkor esik az eső és sose akkor süt a nap, amikor kellene. – Kétségeim vannak, szeretném, ha eloszlatnád. – Várj az esti tanítóbeszédig, akkor eloszlatom. – Hol van az a szerzetes, aki a kétségeit akarta eloszlatni? – Ezt nézzétek meg, itt egy szerzetes, akinek kétségei vannak! Azzal félretaszította a szerzetest és visszavonult a szobájába anélkül, hogy megtartotta volna esti beszédét. Egy öreg szerzetes a szív írásjegyét festette viskója ajtajára, ablakpapírjára és falára. – Az ajtóra az ajtó, az ablakra az ablak, a falra a fal írásjegyét kellett volna írnia. – Az ajtó, az ablak és a fal írásjegy nélkül is feleli önmagát. Huj-csung éppen aludt, amikor Tan-hszia** meglátogatta. – Itthon van a mestered? – kérdezte Tan-hszia a segédet. – Itthon, de senkit se fogad. – Rögtön felismerted a helyzetet – dicsérte őt Tan-hszia. – A mesterem még Buddhát se fogadná – tódított a szerzetes. – Tényleg jó tanítvány vagy! Büszke lehet rád a mestered! – dicsérte még egyszer Tan-hszia, aztán útjára indult. Amikor Huj-csung felébredt, Tan-jüan*** – így hívták a segédet – elmesélte, hogy bánt el a látogatóval. Ám a mester elverte, és kikergette a kolostorból. – Hús-vér testetekben lakozik egy cím és rang nélküli igaz ember, és ki-be jár az érzékek nyílásain – szólt Lin-csi a csarnokba gyűlt szerzetesekhez. – Aki még nem ismerte fel, próbálja meg végre! – Ki az a cím és rang nélküli igaz ember? – Egy rakás szar ez a cím és rang nélküli igaz ember! – mondta, és visszatért a szobájába. – Egész nap a csanról beszélgettünk – mondta Kuj-san. ** – Mi jött ki belőle? Jang-san húzott egy vonalat a levegőbe. – Ha nem velem vagy, most becsaphatnál valakit.